7th February 2019, Mumbai: In the ongoing Late Shri Vishwanath Anchan Memorial Veteran’s Football Tournament, organized by Karnataka Sports Association, the place for four semi-final spots has been finalized after an entertaining day at the Cross Maidan, KSA Ground, on Thursday. Maharaja (Air India) defeated Mumbai Customs while Golden Gunners held Alfa Academy in a closely contested game in the last group stage encounter. 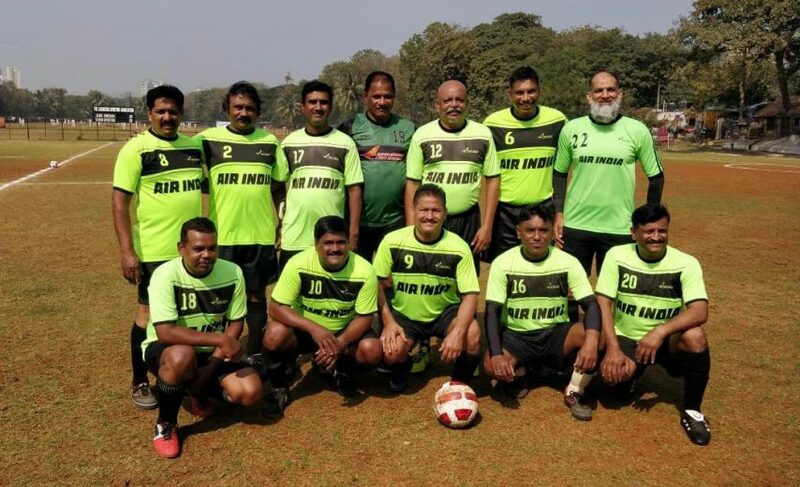 Maharaja (Air India) only needed a solitary goal to see-off Mumbai Customs to book their berth in the last four of KSA Veteran’s Football Tournament. Simon D’Souza scored a sublime goal which made the difference between both the sides. Air India will now face a strong Central Railway side in an anticipating semi-final clash tomorrow. In the other Group, Golden Gunners and Alfa Academy couldn’t manage to find the back of the net in a closely-contested game as both the sides had to settle for a cagey draw at Cross Maidan, KSA Ground. As Bandra Packers managed to get a couple of draws in the Group Stage, they have qualified for the semi-final and will be facing the host KSA tomorrow.